1) Intensive lifestyle intervention – people went through a 16 week lifestyle program with a behavioral counselor. This program focused on decreasing calories and fat grams to decrease weight by a goal of 7 percent and increasing physical activity to a goal of 150 minutes per week. After the initial program people were followed closely and continued to work with their counselor throughout the study. 2) Metformin – people were put on the diabetes medication metformin, which improves insulin sensitivity. They received some, but minimal, lifestyle education and counseling. 3) Placebo – people received some, but minimal, lifestyle education and counseling. DPP results: At the end of the DPP, people in the intensive lifestyle group (#1) decreased their incidence of progressing from pre-diabetes to type 2 diabetes by 58% and the metformin group (#2) reduced their incidence by 31%, compared to the placebo group (#3). People in the lifestyle group lost the most weight, an average of 15 pounds. The study showed that people who lost at least 7 percent of their initial weight (average of 15 pounds) decreased their incidence of type 2 by 90 percent and losing about two pounds resulted in a 16 percent lower progression to type 2. Weight loss was the best predictor of a reduction in type 2. Increasing physical activity played a supporting role. Onto the DPPOS: About 88 percent of the people in the DPP continued in the for another 6 years in the DPPOS study group. About one-third of the people were from each of the above noted study groups (#1 – 3). All of the people in the DPPOS were offered quarterly group-based lifestyle intervention. People on metformin during the DPP continued on it during DPPOS. At the end of the DPPOS (10 years after the start of the DPP) people in the lifestyle group regained some weight but on average were 4.4 pounds below their starting weight (keep in mind the average adult today gains two pounds per year). The metformin group, did a better job at maintaining the weight they lost in the DPP, an average of 5.5 pounds, in spite of the fact that their weight loss during the DPP was less than the lifestyle group (about 15 pounds). Unfortunately, but as is often the case, less than twenty percent of people across all groups took advantage of attending the group-based lifestyle intervention programs. By the end of the DPPOS the original lifestyle group (#1) continued to reduce their chance of progressing from pre-diabetes to type 2 diabetes by 34 percent and the original metformin group (#2) reduced progression to type 2 by 18 percent, compared to the placebo DPP group. Bottomline: The results of the DPPOS aren’t surprising. They don’t support a revolutionary new treatment or a new blockbuster drug. Pure and simple, they continue to reinforce the familiar refrain: make small changes in your lifestyle by eating fewer calories and fat grams and burn more calories through exercise, generally walking. 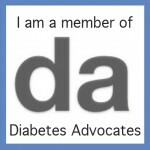 Learn more to Stop Type 2 in It's Tracks and at American Diabetes Association's stopdiabetes.com. Sounds easy, but it’s challenging. 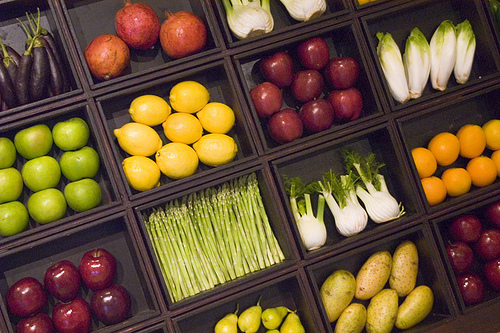 Start with a few simple goals to eat healthier and exercise more. Base your goals on your current habits – what do you need to change. Start with easy goals. Experience success. Let that success breed more success. Take one day at a time and stick to it. Slowly but surely you can change your habits. (Put this approach into action with Diabetes Meal Planning Made Easy) If so, you may prevent/delay a number of health problems which often come along with type 2 diabetes!